In pursuit of sustainable and inclusive industrial development, the IDC announced that it had disbursed a record R16bn into the economy in the 2012/2013 financial year. In addition to this achievement, the corporation sustained its funding approvals at the R13bn mark recorded in the previous financial year. Announcing the results, IDC Chief Executive Officer Geoffrey Qhena said these results were achieved against a backdrop of a challenging economic environment, mainly due to a prolonged sovereign debt crisis in the Eurozone as well as a moderation in the growth momentum in a number of emerging and developing economies. Despite these challenges, IDC has continued to play a proactive role in the economy by supporting the development of key industries. As part of a broader strategy by the IDC to improve the competitive landscape and achieve the development potential of local industries such as steel manufacturing, the corporation acquired Scaw as well as an equity stake in Palabora Mining Corporation. “Scaw is a significant player in the local steel industry and the company’s ability to ramp up steel production could, in the long run, help to build a more competitive industry,” said Qhena, adding that this strategy includes other related investments to reduce the cost of input material, including increased scrap recycling. In partnership with the private sector and government, IDC has made similar strategic interventions in various sectors, including the green economy, supporting government’s renewable energy drive and associated localisation opportunities. The IDC is also focusing on expanding the fabricated metals, capital and transport equipment industries, on the back of infrastructure build programmes of state-owned companies, in particular Transnet, Prasa and Eskom. 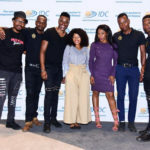 Through a collaborative effort with local manufacturers, retailers and government, the IDC has also contributed to the stabilisation of the clothing industry. Through its activities in the year under review, IDC is expected to facilitate the creation of 18 922 direct jobs and the saving of 3 950 existing jobs. Qhena attributed the drop in direct jobs facilitated, compared to the previous year, to capital-intensive investments and strategic acquisitions. These investments are, however, expected to significantly enhance employment creation potential in the longer term. IDC has maintained its risk appetite in the face of a fragile global economic recovery, with rising impairments being indicative of the challenges impacting several of its clients. In these challenging times IDC has maintained a prudent approach to its investments to ensure continued sustainability. This is reflected in the achievement of profit before tax of approximately R2bn. Despite uncertainty in the global economic landscape, Qhena was quick to assure that the IDC won’t be scaling back on its risk appetite, arguing that IDC’s approach to funding was the key differentiator when compared to other lenders.